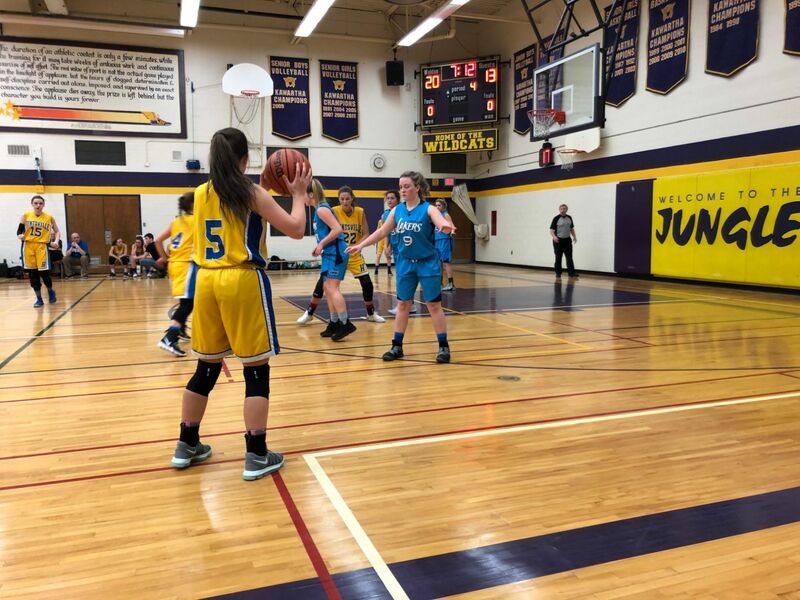 The U19 Girls travelled to Lindsay on Saturday March 23 for two exhibition games against the Orillia Lakers and the hometown Lindsay Wildcats. The Hurricanes had not played in three weeks and came out rusty against the Lakers leading 14 to 9 at halftime. The Hurricanes played gritty defence but continued to struggle offensively but ground out a 34 - 23 win. Zoe Long led the U19 Girls with 5 of 7 from the line and 11 points. Joey Currie chipped in 8 points and Emma McAlpine added 7 points. After a short break the Hurricanes gook on the hometown Wildcats. Huntsville continue their consistent defence but their struggles contined on the offensive side of the ball. The U19 Girls perservered and won 41 - 33. Riley Truax (13 points), Long (7), Currie (6) and Monique Boyko (6) led the team in scoring. The U19 Girls now have a record of 12 wins and 5 losses. Their next are at home on April 6 followed by the Newmarket IEM tournament later in the month.